Paul Moncton and his close friend Matt are out hunting in Kenya. Attacked by a marauding lion, Matt is killed and eaten. Too afraid to face the animal, Paul attempts to flee, breaking his leg. Temporarily confined, but unable to live with his cowardice, he begins to contemplate suicide. At this point Paul meets Roz, a beautiful young girl who has recently arrived from Malindi, an ancient settlement on the East African coast. She falls in love with Paul, but he rebuffs her after resolving to shoot himself. However, his efforts are thwarted by an angel who, having been ordered to intervene, is then appointed as Paul's guardian. This sets off a dramatic confrontation between the forces of Heaven and Hell - an age-old conflict that has now become personal. A number of horrific human deaths result. In the meantime, Paul, frustrated by his unsuccessful suicide attempt, goes on the run but, inadvertently falls into the clutches of a slave gang who incriminate him in a double killing. The gang then sells him into the slave trade and Paul is shipped off to Arabia. Although the police are searching for him, Roz refuses to believe that Paul is a murderer, so attempts to find and forewarn him. She succeeds, but Paul is eventually forced by rapidly changing circumstances to begin a reckless mission of revenge, only to be confronted by his guardian... 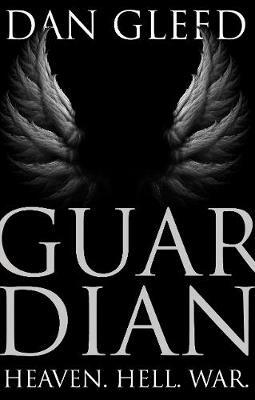 Guardian is a no-holds-barred story of human courage, passion and vengeance that will appeal to fans of fantasy and supernatural fiction alike. The book uses biblical models to paint the background, organisation and warfare prevailing between Heaven and Hell, angels and evil spirits, blending them together with human passion and the author's personal knowledge of Kenya to create a captivating read.